It’s the time of year when people start to consider next year. You kind of give up on 2015 and you start planning for what you should do next year. So — what are you scared of? You start thinking — what are my goals going to be, and everyone’s going to send you emails galore on how to set goals and how to plan and how to pick a word for the next year and all this kind of stuff. You are going to have new year’s resolutions, and they’ll have great ideas when you’ve planned them and then what happens? But when it comes down to it, all you have to do is take action. Most of us know everything that we need to do. I mean if you’ve been listening to me for any amount of time, I’ve told you over again, I tell you the things that make a difference to my business that have helped me grow my businesses and to live a lifestyle where I travel around, I can be wherever I want, my businesses continue and they sell while I’m asleep. But it takes some effort. I must have mentioned that. But you have to take the action, so why haven’t you? You know how to do it, I’ve told you, so why haven’t you done anything? 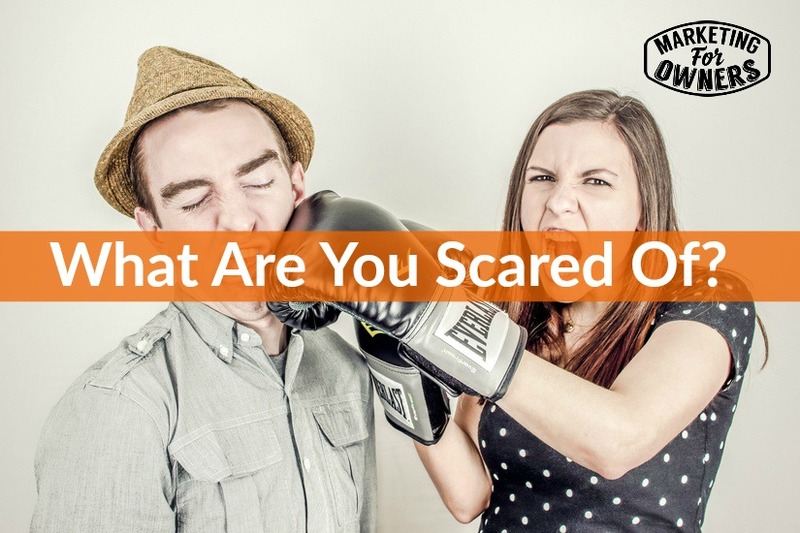 Think about it — what are you scared of — because that’s the thing, you are scared. You’ve got to do a little bit of self-analysis. You’ve got to ask yourself — why I am not doing this? You could come up with all the excuses over time such as –I’ve got to do this first and that — but we’ve all got twenty four hours in the day. Richard Branson achieved stuff, and he launches space rockets, electric cars, solar cities everywhere, and he’s got a family with five kids I think, so how is it that he gets the time and you don’t? Generally we are scared of what everyone else will think because we are going to do something different. The only way to stand out is to do something different to what everyone else is doing. You need to change, and change is scary. What happens if it doesn’t work, what happens if it goes wrong? So let’s just stay as we are, let’s just keep our status quo, because that works, that’s easy! You tell yourself, I did that yesterday, I can do that again today. That’s easy I know — however have you got enough customers? Are new customers coming all the time? Have you got competition? Are they eating in? Are you worried about the new kids coming through, or are you worried about the new social media you’re not using? Are you worried about not having a modern website like that new company you’ve seen start up down the road? Have you not got enough money to spend on making your store look bright and breezy and modern and so on? All that kind of stuff can cause you to be afraid, but don’t worry, it’s not a concern. So we are all of the same thoughts, we have worries but change is scary and everyone else’s opinion is scary but it doesn’t matter. When it comes to it, it will work, I want you to try it. So how about something like writing — why aren’t you writing emails to your customers? Don’t give me the “I don’t know what to do”, or “I don’t know how to use Mail Chimp or Aweber”. Just Google it — all the instructions are there, and it is a piece of cake. Honestly those things are devised for people like us that say I wouldn’t know what to do with it, it’s too technical. It’s not, its typing into a computer, no excuses there, it’s the same as using word or writing an email to anybody. Why aren’t you doing it? I don’t know what to write, is that it? When was the last time you went to a dinner party or went down the pub or went to a restaurant or a bar and with some friends and people looked at you and said I don’t know what to say. I can’t speak, I have nothing to contribute, I will just sit here quiet, I have no opinion of anything, I can’t talk to you, I don’t know what to say. When was the last time you sat in front of your staff to say sorry can’t talk today, I don’t know anything. When was the last time you sat in front of a customer and say I’d love to sell you something but I don’t know anything? Exactly! Think about it, you know lots, you speak. Now you’re going to say “Oh well that’s different” isn’t it, “I can’t write, I’m not a writer”. I am going to give you an example. I am using an iPhone and I’m pretty sure lots of others have this and it is recording my voice speaking. If anyone has a mac I don’t know if others do that by the way, windows and so on, but the macs do. It’s fantastic, I keep forgetting that it exists. Just speak, and once you spoken, once it has written all that, then get on fiverr, send that written thing to somebody to edit. I have recorded this into a recording device, I’m not very good at writing, and can you edit it and make me look good? Five dollars, job done, that’s it. What are you going to talk about? Talk about the stuff you would want to talk about. What about the things they ask you. Excuses. So don’t be scared, go for it, take action today. I’m going to be watching you. Anyway it’s Monday, and that means that it is time for a book for the week. Now, this is a tough one because its brilliant but it’s going to help you further your business with your marketing. He is absolutely genius, brilliant. 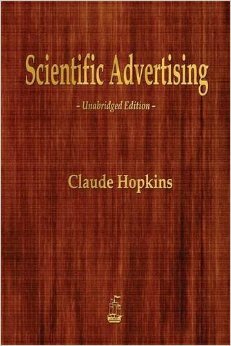 Every copywriter these days will have read it and still refers to it, it still works. Take action, read that and we go and read on of the other ones that I’ve recommended. See what you think but take action today please, I’ll be back tomorrow — remember I’m watching you.